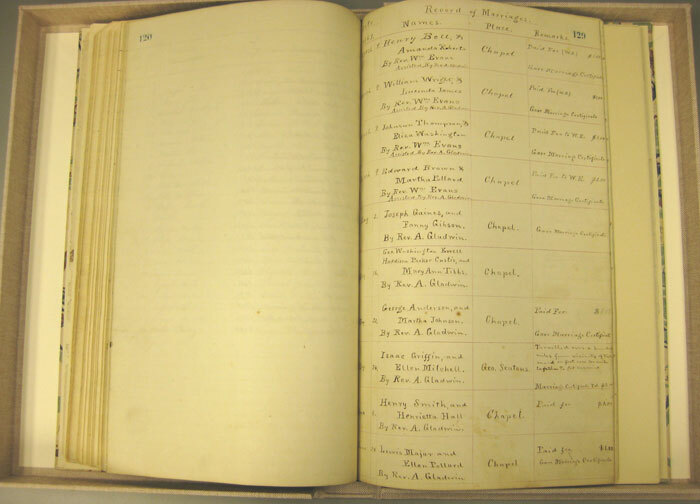 Description: Book of Records Containing the Marriages and Deaths that have Occurred within the Official Jurisdiction of Rev. 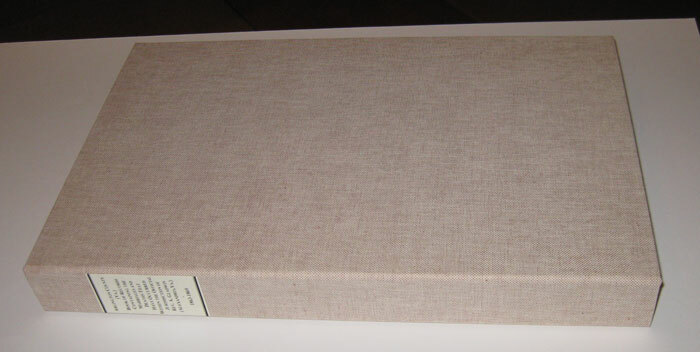 A. Gladwin. 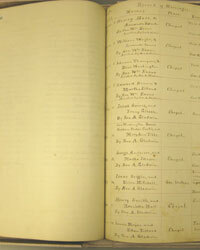 Together with any Biographical or other Reminiscences that may be Collected. 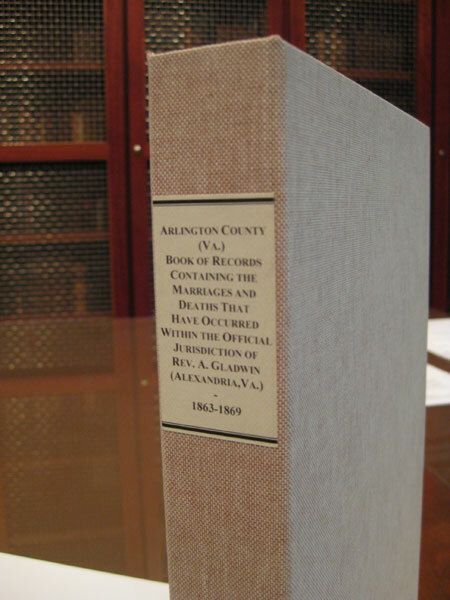 This volume contains priceless biographical information about African Americans who fled slavery by crossing over to Union lines and moving north to Alexandria, Va., during the Civil War, and their experiences during and immediately after the War. 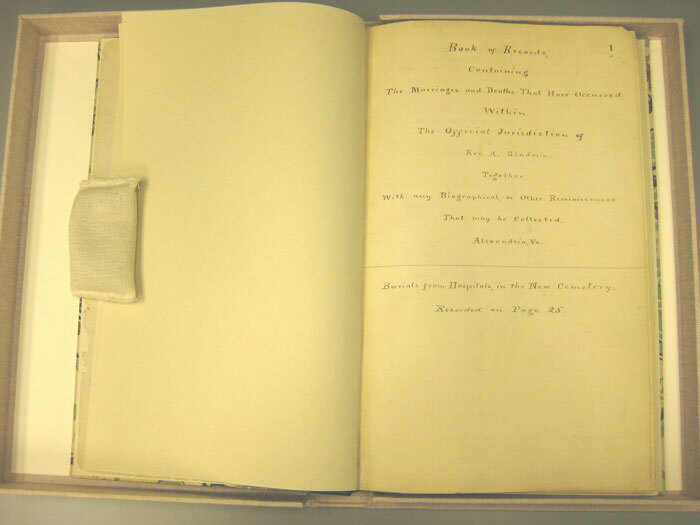 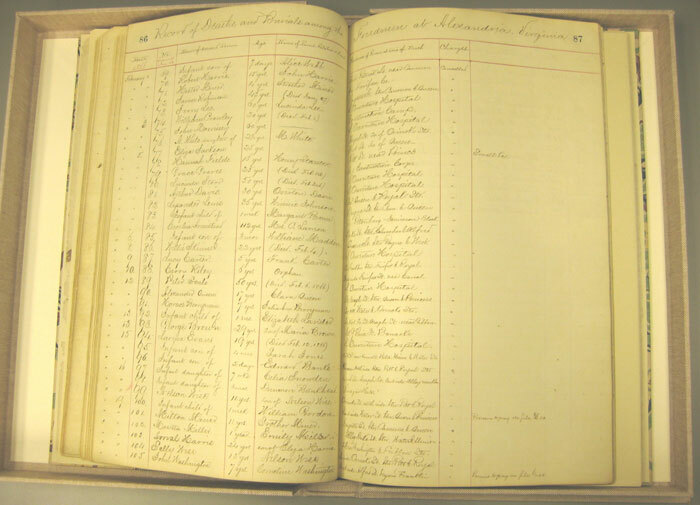 The Book of Records is a death and marriage register kept by the Reverend Albert Gladwin, Superintendent of Contrabands in Alexandria from 1863 to 1865. 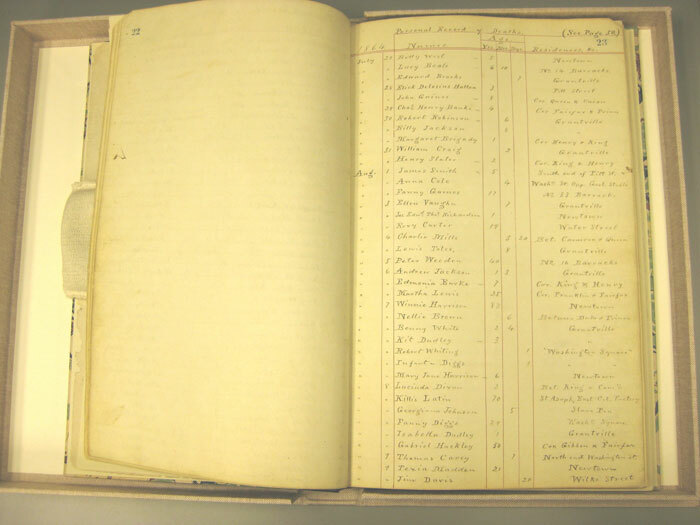 As Superintendent, two of Gladwin's duties were to record the deaths of freedmen and to assist poor and destitute people with coffins, headstones, and burial. 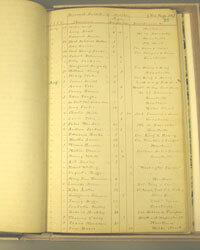 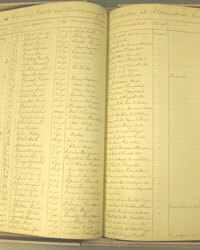 The marriage records document marriages that took place in 1863 and 1864. 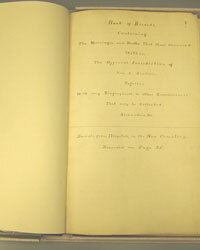 In addition to names and dates, the Reverend Gladwin sometimes included remarks about the specific ceremony. 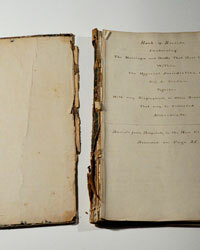 Restoration Needs: The volume will be disbound into signatures and surface cleaned. 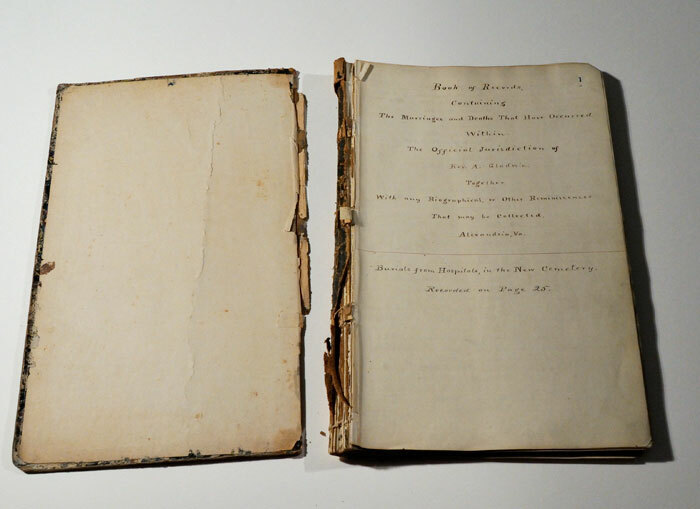 The original pastedowns (the outer leaves of the endpapers pasted to the inside of the front and back covers) will be lifted, retained, and remounted after conservation. 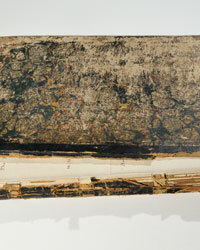 The entire text block (the total of the book's leaves) will be deacidified non-aqueously. 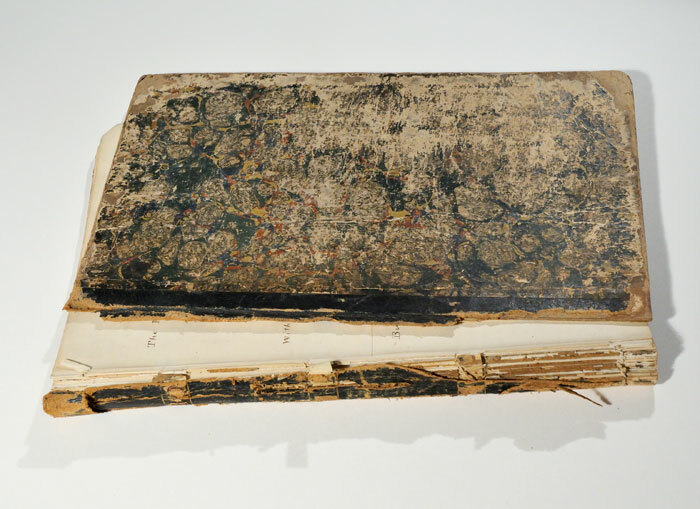 The text pages will be mended with Japanese tissue. 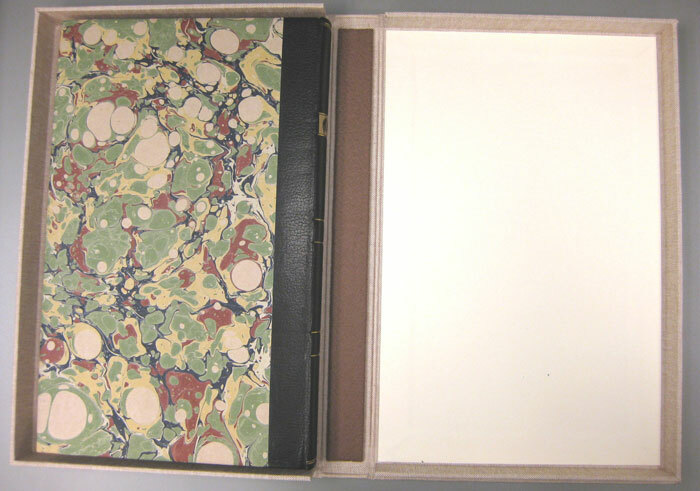 The book's signatures will then be guarded (edges protected with a border) and resewn together. 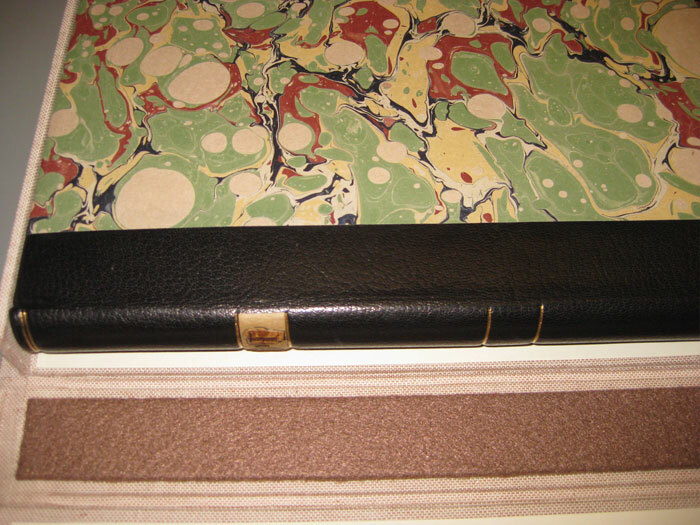 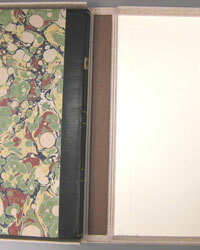 The volume will be rebound in leather and marbled paper and finished in a style to replicate the original binding, which is no longer stable. 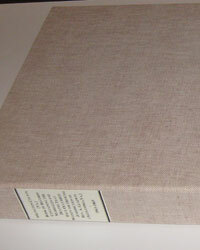 A custom clamshell box will be made to provide extra protection for the book. 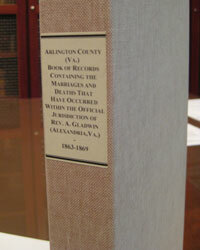 This volume was adopted for conservation by the Friends of Alexandria Archeology and Patricia Thomas Evans in October, 2011. 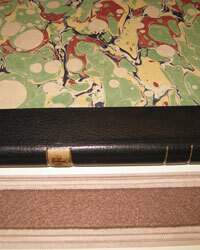 Please see post conservation images of the volume attached.